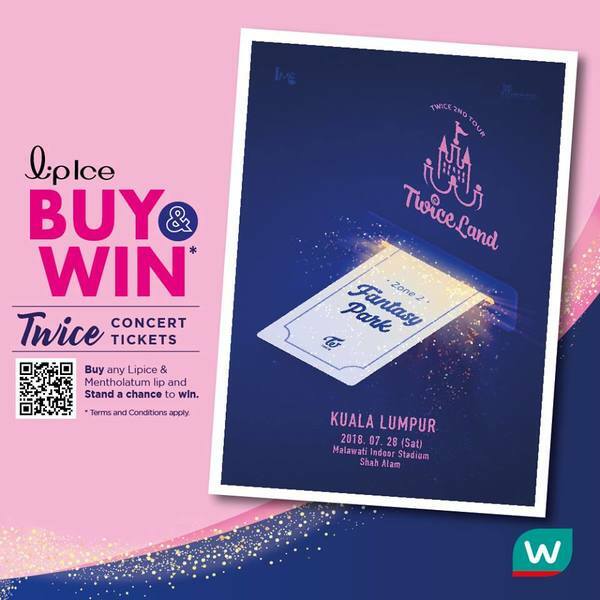 LipIse Buy and Win Twice Concert Tickets! Come and join TWICE Fantasy Park concert with LipIce! Stand a chance to WIN* TWICE concerts ticket by purchasing any LipIce/ Mentholatum Lip products.